Farmington township, number six in the fifth range, is bounded on the north by Mesopotamia, on the east by Bristol, on the south by Southington, and on the west by Geauga county. The surface like most of the townships of the county is undulating and the soil is largely clay, though in the northern part a sandy loam is found. The principal streams are Grand river, Swine creek, and Dead branch. Grand river runs through the township a diagonal course from the southwest to the northeast. Dead branch is a southern ranch of Grand river. Swine creek drains the northwestern part of the township. This township contains seventeen thousand one hundred and fifty seven acres, and was in draft number fourteen, drawn with other lands by Joseph Bowell, William Edwards, Samuel Henshaw, Joseph Pratt, Luther Loomis, David King, John Leavitt, Jr., Ebenezer King, Jr., Timothy King, Fidelio King, and Sylvester Griswold. These owners sold to one another and quit-claimed to others at different times from 1798 to 1811, at which time Solomon Bond owned the greater part of the township. The survey was made under the direction and personal superintendence of Luther Henshaw, and the township was called Henshaw until it was organized as Farmington in 1817. This township was first settled mainly by Connecticut people. Its growth was a slow one and not until long after its organization was it thickly populated. LEWIS WOLCOTT, best known as Captain Wolcott, and David Curtis, were the first arrivals. They came in the spring of 1806, from Vienna township. Lewis Wolcott, son of Theodore, was a descendant of Henry Wolcott, who came to this country about the year 1630. In the spring of 1805 he made the journey from Connecticut to Ohio on foot, carrying all his earthly possessions in a knapsack. He stopped one year in Vienna, working for Joel Humiston. David Curtis, a son of lawyer Curtis, was the companion of his journeying. Upon their arrival here they built a pole cabin for a summer residence, near the spot where Mr. Kibbee's house now stands at West Farmington. In the summer of 1806, Zenas Curtis, David or lawyer Curtis, and Elihu Moses brought their families and located. Zenus Curtis built a cabin on the Fuller farm on the State road; the land is now owned by C. A. Mackay. David Curtis built on the old Ramsley Curtis farm, where Dr. Meyers now lives, and Elihu Moses on the opposite side of the road from S. H. Loveland's. JOSIAH WOLCOTT, was born September 17, 1755, and married Miss Lydia Russell, of Weathersfield, May 13, 1779. The children of this union were as follows: Catharine, Daniel R., Horace, Susan, Mary, Josiah W., Erastus, and Edmund P. The mother of Edmund P. died Apr. 19, 1805, aged forty-three years. His father again married; his second wife was Mrs. Nancy Higgins, widow of Dr. Higgins, of Weathersfield, Connecticut; the time of his marriage was Feb. 16, 1806. The names of the children following this union were, Lydia R., Caroline, and Charlotte. Their mother died Oct. 13, 1824, aged fifty-eight years. Josiah Wolcott married a third time, the object of his affections being Mrs. Brown, of Warren. They had one daughter, Nancy. Mr. Wolcott died Jan. 18 1838, in his eighty-third year. His native place was Weathersfield, which he left about the year 1800, and settled in the town of Bristol, Connecticut. His occupation was that of a farmer. He lived in Bristol until 1806, when he was persuaded, by the glowing representations of a New Connecticut land speculator, one Solomon Bond, to make a purchase of one thousand acres of land in the then unbroken wilderness. He visited his new territory in the fall or winter of 1806 and 1807, in company with his son Horace. Mr. Wolcott's brother Theodore, and his son Lewis, and Gad Hart, came out at the same time. They "rolled" up a log house, perhaps fifteen feet square, without the help of a team; in this place they wintered. The ground on which this bachelor residence stood on northwest corner of centre, was a few feet west o the Wolcott store. This building was raised, inclosed, floors laid, and inside finished without having a sawed piece of timber in it. Here the company passed the winter. At that time the place was nothing more or less than a wilderness; not an article of food, either for man or beast, was to be had in the township. They brought the straw to fill their bunks from Mesopotamia, and as the forest was so dense that then could to get their straw through, they were obliged to travel down the old path from Mesopotamia to Warren, as far as Grand river, and then come up on the ice to their lodgings. Mr. Wolcott felt that meetings on the Sabbath must be kept up, and succeeded in carrying out his convictions of propriety in this idea. As it was seldom the case that they had preaching, when meetings were not requested at other houses they held meeting in their own place - often had preaching in Parkman, and Judge Parkman and lady frequently attended here. The way of getting to church was on horseback for those who had horses, or with ox-teams. Mr. Wolcott, considering the help had, had cleared quite a farm before the breaking out of the War of 1812. But from that time he saw the great disadvantage all were laboring under, in not having mills of any kind; and in this state of things two men called upon him, professing to the number one mill-wrights, and persuaded him to undertake the building of a saw- and grist-mill. They cut and hewed and hauled on to the ground a large quantity of timber, and partially constructed running-gear, etc., but in consequence of indebtedness which was likely to send him to the "lock-up," the main part of his workmen left, and the undertaking was abandoned. The project of mill-building rested for several years. Another mill-wright appeared who proposed to put up one on the spot where A. D. Kibber & Co.'s mill now stands; but their mill soon went down, and proved a failure. The scheme went to rest again, and after a space of one or two years a third trial was made, and they succeeded in getting a good saw-mill. About this time complaints were made by parties who had erected mills above Seats; vexatious suits were commenced and continued in court for some ten years. Several judgments were obtained and paid. Mr. Wolcott being confident that his dam did to back water to the injury of the upper mills, the Legislature enacted a law giving the party wishing to erect or sustain a dam across any stream the privilege to summon a special jury, who should view the premises and decide how high the party might raise a dam without injury to others. This act was complied with, and that put an end to the litigation. Twelve of the best men in Trumbull county gave their verdict to the effect that he had been put to all the costs and vexation of ten or more suits unjustly. E. P. WOLCOTT, son of Josiah Wolcott, was born Nov. 17, 1800, in Bristol, Connecticut. His advantages for an education were limited; he however obtained a good practical and business knowledge. He was reared a farmer, - worked at it till he was thirty, - then went to selling goods at Farmington. He married Clarissa Bosworth, of Farmington, Nov. 19, 1829: - result of this union, nine children, seven of whom are living, viz. : Julia E., William W., Amelia, Cecilia, Charles F., Addison L., and Mary E. Mr. Wolcott lived some ten years at Chagrin Falls, and while there was justice of the peace. He also held several offices of trust and honor in this township. He was a member of the Congregational church; in politics, a Republican. It may be said of this gentleman that he was one of the strong supporters of the Congregational church; and the cause of education had in him a warm supporter. He died Mar. 21, 1881. CAPTAIN ERASTUS WOLCOTT, fourth son and sixth child of Joseph and Lydia, when born in Bristol, Hartford county, Connecticut, May 2, 1795. His advantages for an education were nothing, in fact, only having had three months' schooling in his life. He was early disciplined in all the details of farm life, which he has followed as an avocation through life. When but eight years old he came here with his father's family. He married Miss Almira Hannahs, of Nelson, Portage county, June 19, 1820. She was born Mar. 9, 1798, in Bethlehem, Connecticut. She was the first teacher in this town. Result of marriage, six children, all living and settled well and doing well; - their names, Orlando K., Luther H., Catharine C., Julius E., Orvis A., and Helen C. Mr. Wolcott has held various offices in this town. Elected captain of State militia about 1825. United with Presbyterian church 1825; he was chosen deacon in 1841, succeeding his father; he was ruling elder at the time of his death. His wife died Jan. 11, 1865. Deacon Wolcott was again married, to Celesta Worrell, of Farmington, Jan. 5, 166. She was the widow of John Worrell. Captain Wolcott died Dec. 26, 1867. HORACE WOLCOTT died June 28, 1872, aged eighty-seven years and seven months. We subjoin the names, births, and deaths of his family: Edward C., born Oct. 21, 1809, died Apr. 5, 1864; infant daughter, born June 6, 1810, died June 8, 1810; Louisa, born July 16, 1812, died May 13, 1813; Russell, born May 23, 1814, died Oct. 20, 1865; infant daughter, born Sept. 14, 1816, died Sept. 15, 1816; Julia, born Sept. 23, 1817, died Feb. 21, 1830; Addison, born Apr. 18, 1820, died Mar. 20, 1869; Albert G., born Aug. 30, 1823, living; Sophia, born Sept. 15, 1826, died Jan. 16, 1849; Caroline, born Mar. 18, 1829, living. Mrs. Sabrina Wolcott died July 28, 1865, aged seventy-five. The heads of the above family were united in marriage Dec. 15, 1808. Albert G. is now living in Wyandotte, Kansas, engaged in the lumber business and "real estate." Caroline Bughoff is living at the center, with her only child, Edwin F.
O. I. WOLCOTT, son of Erastus and Almira, was born May 30, 1823, in this town (Farmington). Educational advantages fair, for those early days. He was untied in marriage to Miss Catherine M. Stowe, of Braceville, Nov. 13, 1845. This lady was born May 21, 1821. result of union, six children, viz: Norman E. (deceased), Cornelia A., Austin E., Miranda C., Julius O. (deceased), and Orvis O. Mr. Wolcott has held several town offices. In 1865 he was chosen county commissioner; he was re-elected in 1868. United with the Presbyterian church April 10, 1859; he was several times chosen superintendent of the Sunday-school. His wife is also a member. in Farmington and died here, excepting Emily (Belden), who died in Kansas; William, who died in Parkman, and Chester, who survives. Chester G. Wolcott, youngest son, was born in Connecticut in 1803. He married, in 1843, Louisa S. Hudson, of Orwell. Their only child, Leander H., was killed while in his country's service in his nineteenth year. He was a member of the Ohio National guard, and was killed June 11, 1864, at Covington, Kentucky, while serving against Morgan's raiders. Mrs. Wolcott died in 1867, aged sixty-one. Theodore Wolcott died in 1837, aged about seventy-three. His wife died in 1847 at the age of eighty-eight. Mr. Wolcott was a deacon of the Congregational church from its organization to the time of his death. He was a man of liberality and worth. O. L. WOLCOTT, son of Lewis, was born in Farmington in 1823; was married in 1850 to Martha F. Kibbee, and has five children living, one deceased - Ella H. (Chamberlain), Louise S. (deceased, Emma A., Carrie F., Grace L., and Frank B. Mr. Wolcott was county auditor four years, 1859 to 1863; was a member of the State board of equalization from this district, serving the year 1871-72; was then appointed by Governor Noyes as commissioner of railroads and telegraphs and served two years. He is now engaged in farming and stock-dealing. WILLIAM WOLCOTT, son of Newton, was born in Farmington in 1837. In 1866 he married Hattie E. Gillette, who died in 1881, leaving three children - Carrie E., Newton A., and Carroll. In February, 1882, he married Mrs. Sarah Harrison. Mr. Wolcott served four years in company D, Second Ohio cavalry. He has been township trustee two terms. F. J. WOLCOTT, son of Lyman B., was born in Farmington in 1859. He is now in partnership with Dr. O. A. Palmer, and C. S. Thompson, and is secretary and treasurer of the Standard Chair company. GAD HART, who came on with the Wolcott brothers in 1806, moved with his family to Henshaw in 1807, and took up his abode in the cabin near where the Wolcott store stands, at the center. This was the cabin erected the previous year. The house built by Horace Wolcott was a little more pretentious than most pioneer dwellings. He hauled boards from Parkman, and made a very comfortable cabin, with floors above and below and a door of boards. But when the family arrived and surveyed it, the women, thinking of the pleasant home they had left in the East, burst into tears. During the winter months of 1807-8, the Wolcotts purchased their provisions in Mesopotamia, of Esquire Tracy. Sometimes they bought venison of the Indians; and on one occasion a fine buck was purchased for a silver dollar. At this time the only roads in the township were paths marked by blazed trees. The State road from Warren to Painesville, running across the southwestern part of the township, had been marked out but was not bridged or worked. A little later it was cleared of its obstructions so that ox-teams could travel it. There was a route of travel from Warren via Bristol and Mesopotamia, running diagonally through the northeast of Henshaw, and a bridge across the Grand river about one mile and a fourth northeast of the center of the township. The winter of 1807-08 was spent in clearing, and in the spring crops were put in which yielded fairly. During the year the settlement received quite an addition to its members by the arrival of William Wilson, Josiah Wolcott (second son of Theodore), Gad, Bartholomew, Ezra Curtis, John Hethman, J. P. Danford, Dennis Lewis, Jacob Bartholomew, and one or two others. Some of these were married and brought their families, others were single. During the early years of the settlement the nearest place where milling could be done was Parkman. Garrettsville and Bristol were often visited for the same purpose. Frequently the man or boy who went to mill was obliged to make the journey one of two days' duration. EBEN WILDMAN settled in the eastern part of the township in 1813, and for many yeas his was the only house in the township east of the center. Several of the name are still residents of Farmington and vicinity. DENNIS LEWIS came to West Farmington in 1810, at which time there were but seven families living in this place. His daughter, Mrs. Chauncey Taft, now a widow, is still living, and though seventy-eight years of age, is hale and hearty. It was through the influence of Dennis Lewis that the name of Henshaw was changed to Farmington, also that of Bowlestown to Southington. Quite a thriving settlement sprang up along the old State road, and log cabins were plentier there than frame houses are now. William Wilson was one of the first settlers on this road, followed by John Young, Daniel and Orrin Taft, and others. From the various Taft families residing here, that part of the township was long known as Taftsburg. JOHN YOUNG, from Pennsylvania, settled about 1810 on the north bank of Grand river. He had but one child, a son, Eli, who soon after coming here married Catharine Bellows. He was a Quaker and paid his fine instead of going to the War of 1812. Eli Young raised a family of four children, all of whom are living: Sarah (Sager) Bristol; Stephen, on the old homestead; Mary A. (Henry), West Farmington, and Newton, Gustavus. John Young died in 1824. ORRIN TAFT came about 1815, and his brother Daniel soon after. Both settled on the State road. Orrin's children were Frederick, Orrin, Julia, Joseph, Lucy Ann, Eliza Ann, Calvin, and Harvey. The two last named are living. Orrin and Frederick died in Braceville. Lucy and Eliza are still living. DANIEL TAFT's children were Robert, Mary Ann, Jane, Henry, Harriet, Laura, Caroline, and Lovett. Jane (Green) lives at West Farmington. Harriet and Caroline are also living. Chauncy, Harvey, and Horace TAFT, brothers of Daniel and Orrin, also settled in Taftsburg and reared families. They, however, were later settlers. In May, 1814, Captain John Benton and his "company," consisting of his own family, Theodore Wolcott and his family, left Connecticut for Henshaw. They were provided with horse and ox teams, and journeyed via Trenton, Philadelphia, Harrisburg, and Pittsburg. At the latter place, then a little smoky village, they bought some flour, which they ate upon their arrival in Henshaw. The company reached here in safety in June, following up the State road from Warren. From this road they were obliged to cut their way through the woods to the center. DAVID BELDEN came from Weathersfield, Connecticut. He located where Colonel H. H. Hatch now lives, and afterwards where Sheldon Spencer resides, near the river. His family consisted of twelve children, all of whom lived to be married and bring up families, except one son, Daniel. CHAUNCEY BROCKETT, from New York State, came to Farmington immediately after the War of 1812, and settled on the river where he cleared up a farm. He died there at about the age of seventy-six. Alanson Brockett, his son, was born in western New York in 1805, and came on Ohio with his parents. He married Anna Maria Moffet and settled on a part of his father's farm. In 1835 he moved to Bristol, settling on the old Moffet farm on West street. The last three years of his life he resided in Bristolville, where he died in 1875. He was twice married, his first wife being the mother of all of his children, fourteen in number, six boys and eight girls. Four boys and two girls are dead. JOHN BENTON, moved to this township from Bristol, Connecticut, making the fourteenth family in Henshaw. They journeyed with one yoke of oxen and a horse, and were forty days upon the way. John Benton and his wife (nee Polly C. Upson) were the parents of four children - George Washington, Henry D., Polly (Brown), and Harriet C. (Loveland). Henry D. and Harriet survive, the latter in Dakota. Washington died at Beaufort, South Carolina, and Polly at Council Bluffs, Iowa. H. D. Benton was born in 1810, and has resided in Farmington the most of his life. He married in 1843 Harriet H. Baldwin, of Parkman. They have three children living, one deceased - Herbert U., Edwin H., Marion I. (Underwood). All reside in Iowa. Mary Augusta, the first child, died at the age of seven. In 1817 ELI HYDE settled in the eastern part of the township; and in 1818 JOEL and IRA HYDE ABIJAH LEE, and others. SOCRATES LOVELAND, a native of Connecticut, moved from the State of Massachusetts to Farmington township in 1818. He was the father of ten children, of whom seven are living, two of them, S. H. and Mrs. Cotton, in Farmington. Mr. Loveland died in 1870; Mrs. Loveland, whose maiden name was Lydia Taft, in 1867. S. H. LOVELAND was born in Farmington in 1822 and has resided in this township since, excepting five years in California and Australia. He married Mahala Rood, a native of Connecticut, in 1856, and has two children, Lydia and Henry. DANIEL GATES, born in western New York in 1807, settled in east Farmington in 1817. He married, in 1828, Eunice A. Chafee, of Bristol, and had five children, three of whom survive, viz. : Freeman, a prominent manufacturer of Painesville, Ohio; Emily, wife of Rev. J. B. Corey, of Cleveland; and Mary Maria, wife of Dr. A. J. Brockett, of Bristolville. Mr. Gates moved from Farmington to Greene in 1851, and from Green to Bristol in 1874. He died in Bristol in 1880; his wife in 1879. ABIJAH LEE moved to Farmington from McHenry county, New York, in 1818, coming the whole distance of five hundred miles in a sleigh, bringing his mother, then eighty-three years old, his wife and eleven children. The names of his children were as follows: Roswell, Lydia, Isaac, Almira, Harriet, Polly, Simeon, Hannah, Betsey, Seth, and Electa. Of these Roswell, Isaac, Hannah, and Harriet are dead. Simeon lives in Michigan; Lydia, in Ashtabula county; the others are all in Farmington. GRIFFITH, WILLIAM S. came to Farmington from McHenry county, New York, about the year 1820. Soon after coming here he married Almira Lee, who is still living. Their six children were: James Addison, Chauncy, Milo W., William W., Albert, and a son who died in infancy. Addison died at the age of twenty, and Albert at the age of twenty-one. The three surviving sons reside in Farmington. W. W. Grififith, the youngest of these, was born in 1836. He married Mary Chandler. Mr. Griffith, the father, died in 1864, aged sixty-four years. He taught the first school in east Farmington in the old log school-house, which stood near the present site of the church. ALONZO OSMER was born in Chardon, Ohio, in 1821. When four years old he came to this township. In 1842 he married Llydia Folk, of Southington. Their children are: Addison, Orvel C., George H. (deceased), Charles S., Emogene, Mary E., and Julia E. All are married except the youngest. ETHAN CURTISS was born in Connecticut in 1783. In 1808 he removed from New England to Brunswick, in this State, with a family of three boys. . About the year 1827 he settled in Farmington. By his first wife his children were Nelson, Lewis, and Giles—all born in Connecticut. The mother of these children, Anna Sedgwick, was born in Connecticut in 1783. His second wife, Aurelia Strong, bore ten children, five of whom are living. Of the first children, only Giles is living. He resides in Northfield, Summit county. Nelson spent most of his days in Wisconsin. Lewis was born in 1805. In 1831 he married Harriet Lewis (born in Farmington in 1811) who is still living. 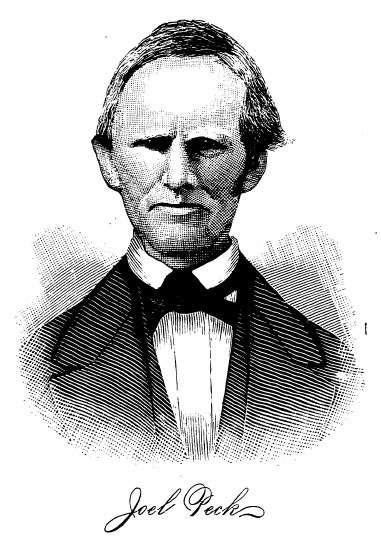 Mr. Curtiss died in 1874. Their children were named: Miles and Giles (twins), Silas, Nancy, Judson, Martha, Mary J., Ellen, Alfreda, Nelson J. Two, Giles and Judson, are dead. NELSON J. CURTISS. Nelson J., youngest child of Lewis and Harriet Curtiss, was born in this township in 1852. In 1873 he married Victoria M. Symes, of Farmington. She died in 1875, at the age of twenty-three, having borne one child, Vernie Victoria. In 1877 he married Nettie Lord, who was born in Wisconsin in 1852. Their children are Vinnie May and Fredie Maud. N. J. Curtiss lives upon the old homestead. J. W. and SARAH (LEW) LAMBERSON came to Farmington in 1832 from Ontario county, New York, being originally from Herkimer county. They settled in the east of the township and reared six children, viz: William D., Charles, Mary Ann, James, Eliza (Harshman), and Luetta (Norton). Two, Mary Ann and James, are dead. The others reside in Farmington, excepting Mrs. Norton, who lives in Bristol. W. D. Lamberson, their oldest child, was born in Herkimer county. New York, in 1826. He came to Farmington with his parents and has since resided here, excepting while he was in the army. He married Emily A. McKay, a native of New York. They have two children living and one deceased: Sarah Catharine (died at the age of eleven), Leora, and Addie May. JUSTICE PIERCE, son of Shadrach Pierce, was born in 1824; in 1847 married Sarah Jane Housel. Their children are: James J., Olive L., Peter H., and Mary J. Peter is dead. Mrs. Pierce died in 1877. WILLIAM FALES was born in Buffalo, New York, in 1825; has lived in Ohio forty-five years; was brought up in this county; married Joanna Proctor in 1847, and has seven children living, one deceased. Mr. Fales is largely engaged in buying and selling horses. county, Connecticut, to Vienna township, this county, in 1805, and resided the most of his days there. In his old age he lived in Bazetta and died in Mecca at the age of seventy-five. He raised eight children, who arrived at maturity, seven of whom are still living—William, of Bristol; Leverett and Chandler, Farmington; Eliza M., Columbiana county; Abigail (Caldwell), Champion; Mary (Barber), Vienna; Selden, Bristol; Isaac C., the fourth son, died in Kansas at the age of sixty-one. Chandler Hickox, now a resident of Farmington, was born in Vienna in 1809, and has resided in the county excepting two years. He is a carpenter by trade. Mr. Hickox married Ursula Langley, of Hubbard, and has five children living and five deceased. The names of those living are William D., Hattie (Wolcott), Anna (Pierce), Jane (Pierce), Myron E. Millaus R., the oldest son, died in Andersonville prison in 1863. He was in the Second Ohio cavalry. William D., enlisted in 1861 and served through the war. He was also a prisoner at Andersonville. JAMES M. HARWOOD was born in Hampshire county, Massachusetts, in 1814. In 1833 he came to Ohio, and settled in Greene township in 1838; was that year married to Hannah Knapp, a native of Massachusetts. Two sons were born of this union—Charles (deceased), and John Avery, resident of Farmington. 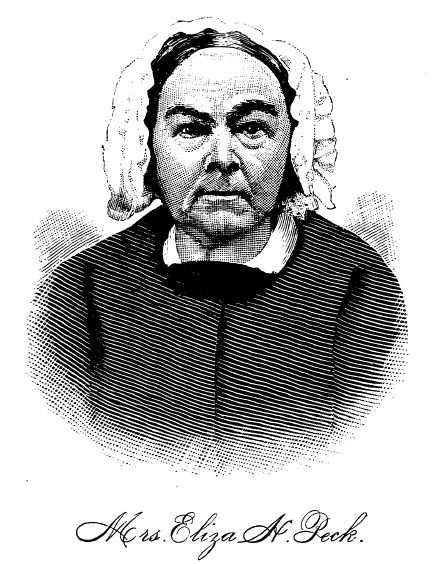 For his second wife he married Sarah Kinney, who bore one child—Sarah J. (King), now living with her father. He married for his third wife Mrs. Mary A. Pierce, of Farmington. Mr. Harwood has resided in Farmington since 1860. New York Sun; Junius, Maria, and David. For his second wife he married Mary Ann Wright, who bore three children: Daniel, Wright, and William. The latter was killed in the army; the two former are married and reside in Farmington. Mr. Dana moved to Trumbull county in 1832. His son, Daniel R. Dana, born in 1834, married Miss M. W. Kennedy in 1869, and has one child, Harry R. Mr. Dana began the manufacture of cheese in 1869 in the factory now owned by Wilcox & Griffin, where he carried on the business two years. He began work in the factory which he now operates in 1871. The capacity of this factory is about seventy tons per annum. Mr. Dana makes use of the patent process. JARED HOUSEL was born in Northumberland county, Pennsylvania, in 1811. In 1812 he went with his parents to Stark county, and after eight years moved to Jackson township, now in Mahoning county. In 1834 Mr. Housel and his father, Peter Housel, came to Farmington. Peter Housel had a family of seven children, all of whom are living. Jared Housel married in 1839 Lucinda Miller, of Farmington. Six children are the result of this union: Mary J., Isaac, George, Survinus, Sophia, and Ira. George and Ira live in Farmington; Mary J. in Bristol; Isaac in Gustavus; Sophia in Kansas. Survinus died in the army at the age of nineteen. N. A. GILBERT, ESQ., attorney-at law, now of Cleveland, Ohio, is the son of Albert and Esther B. Gilbert, who settled in Farmington township in 1851. He was educated in the common schools, and in West Farmington seminary. He enlisted in 1862, in the Eighty-seventh Ohio volunteer infantry, and afterwards in the Eighty-sixth Ohio volunteer infantry and One Hundred and Seventy-first Ohio National guard, being in the service about fifteen months. After the war Mr. Gilbert read law in the office of Jones & Case at Youngstown, and was admitted to the bar in 1867 at Canfield. He located for practice temporarily at Niles, but after about four months removed to Maysville, Union county, Ohio, and from there in 1871 removed to Cleveland, where he is in full practice. He was married in 1867 to Anna M., daughter of Joseph Allen, one of the pioneers of Bristol township. J. M. COMPTON is engaged in the insurance business in West Farmington. He represents the best companies and does a good business. Mr. Compton is a young man of enterprise and strict integrity, and his business is fast increasing. A ROLL OF THE FIFTH COMPANY, SECOND REGIMENT, FIRST BRIGADE, AND FOURTH DIVISION OF OHIO MILITIA. The first marriage - both parties living here - was Mr. Louis Wolcott to Miss Nancy Higgins, Dec. 1, 1808. She was the daughter of widow Higgins, then the second wife of Josiah Wolcott. I will not work any more to-day. I am going up to Mesopotamia to be married to-night. Won't you go up?" The father said he guessed not, it was too far. So Horace washed up, put on his best suit (which was not the finest broadcloth), and went on foot to Mesopotamia and was married. As far as known Caroline Wolcott afterward the wife of George L. Holmes, was the first child born in Farmington. She was born Sept. 12, 1808. Both she and her husband are now dead. The second child was Joseph H. Wolcott, son of Lewis and Nancy (Higgins) Wolcott. He is now living in Kansas. The first frame house erected in Farmington township was built by Daniel R. Wolcott, oldest son of Josiah Wolcott, in 1820. It was erected on the south side of the common, or southeast corner of the center, and is yet standing and in good repair. It was for a long time the residence of H. W. Collar, Esq., and was afterwards owned and occupied for a number of years by Captain James Caldwell, and later still, the residence of S. J. Buttles. During the same season, or soon after, a frame house was built in West Farmington, on the northeast corner where the Palmer brick now stands. It was erected by Theodore Wolcott, and afterwards, owned and occupied for a long time by Lewis Wolcott, son of Theodore. Theodore Wolcott built a house about half a mile south, where Mrs. S. S. Spencer now lives, and where he lived until his death. About the year 1823 or 1824 a frame house was built on the northwest corner at the center, where T. Hall's house now stands. The frame was put up and enclosed, the roof put on, and the chimney built all in one day. The most of the timber used m its construction was taken from the stump. This house was built for Dr. Abiel Jones. Captain Ira Hyde built the chimney. They had plenty of good old rye whiskey, and when they got through, the captain said he could not see but that the chimney was perfectly straight, but next morning they discovered it was a little crooked. The first school-house in Farmington was built in the spring of 1816, and located near a pear tree and a spring on the northeast corner at the center. Captain Benton and Josiah Wolcott cut the logs for the school-house one snowy day, and Erastus Wolcott hauled them with an ox team. Captain Benton, although the day was cold, wore a pair of linen pants with holes in the knees. The first school kept in this house was taught by Miss Almira Hannahs, of Nelson, afterwards the wife of Erastus Wolcott. There was also the same or the next season a log school-house built at West Farmington and located near where the store building, built by Kibbee & Loveland, now stands, and the first school kept in that was taught by Miss Nancy Wolcott, who afterwards became the wife of Silas Higgins. The houses of the early settlers were all built of logs, and seldom was a board or a nail used in their construction. Floors of puncheons, chimneys of sticks and mud, hearths of mortar, and lights of hickory bark were some of the usual necessary articles found in the pioneer's dwelling. Gowns were made from flax, spun and woven by the wearers. When colors were desired butternut and black walnut bark furnished them. The gentlemen wore garments of tow and linen in summer and buckskin or woolen in winter. Shoes and boots were worn very sparingly, as their cost was great. Sociability and hospitality prevailed. The first tavern in the township was kept in a log building where William Wilson lived in 1810. Afterwards a frame addition, then a frame house took its place. Huff, James, Joseph Whiting, the Tafts, Herner and others were early landlords. William Kennedy at length bought the property and continued the business. Herner sold liquor and incurred the hostility of the temperance people, and was prosecuted two or three times. Afterwards one or two attempts were made to run a saloon at the center, but the citizens rose in opposition and from that time to this Farmington township has been singularly free from the pernicious influence of the rum-seller. There are now two hotels in the township, both at West Farmington—the Lewis house, of long standing, and the house of E. Trunkey, just opposite. The old red tavern on the State road ceased to be a house of entertainment about 1847. The first store in the township was opened in 1825 on the southeast corner at the center by Mr. Stewart, of Vienna. He was succeeded by Tucker & Crowell; then, about 1833, E. P. Wolcott engaged in the mercantile business, and he and his sons carried it on nearly all of the time for over forty years. The first merchant at West Farmington was Austin D. Kibbee, who in 1834 kept store in part of his own house. Later he built a store opposite his residence. He was succeeded by Higgins & Wolcott. Kibbee & Wolcott then conducted the business alone for some years. Mr. Kibbee has done more to promote the growth of the village than any other man. The Woman's Foreign Missionary society, Akron district, was organized at West Farmington, June 2, 1879, when the officers of the auxiliary were elected as follow: Mrs. E. A. Lamberson, president; Miss A. Young, Mrs. J. Kennedy, Mrs. J. Hathaway, and Mrs. S. J. Taft, vice-presidents; Miss Augusta Goff, treasurer; Mrs. E. Thompson, recording secretary; Miss E. C. Greer, corresponding secretary. Number of life members in the society, five; members, twenty-five. is on a knoll of ground midway between the center and West Farmington. It presents a beautiful appearance; is nicely fenced off, and the grounds are well cared for, and it is here many of the pioneer settlers of the township are buried. It is under the control of the township trustees, who have erected a capacious vault. The soldier's monument is a beautiful marble structure erected in the cemetery at West Farmington by the citizens of the township in commemoration of the gallant services rendered by the soldiers from Farmington in the late war of the Rebellion. It has the names of those who lost their lives on the field of battle or who died from wounds in the hospital, inscribed upon it, as follows: Homer H. Stull, lieutenant; William T. True, B. F. Kennedy, Newton F. Wolcott, Calvin Caldwell, Adelbert M. Hart, Ira Wildman, Charles E. Richards, William Dana, Henry Lovell, E. E. Daly, A. Clark Flick, Leander H. Wolcott, George W. Moffit, Virgil N. Weir, Almon A. Lew, Hamlet B. Belden, William Wilberforce Strickland, Judson S. Curtis, Thomas F. Hall, Jesse D. Kinear, Joseph J. Brown, Henry Steel, Robert Mathews, John O. Caldwell, Morris W. Freeman, Sylvanus Housel, Frank G. Palmer, John W. Kingard, Frank Proctor, Edmond E. Kinear, August W. Show, Charles W. Gilbert, Stephen Wildman. The monument cost $1,400, and was erected and dedicated in 1865, James A. Garfield making the speech on that occasion. About 1831 Farmington post-office was established on the State road, Epaphroditus Fuller, Postmaster. As early as 1834 an office was established at the center, Daniel Wilcox, postmaster. About 1847 the Farmington office was removed from the state road to West Farmington, the center office being discontinued. Then began a war between the two villages for the possession of the office, which lasted through many yeas, but was finally settled by the re-establishment of the Farmington center office. The name of the other office was then changed to West Farmington. Hiram S., a blacksmith, of Gustavus; Sarah L. (deceased); J. C., Jr., a farmer, of Southington; Frances (Mrs. Fries), Sarah J. (Taft), Ann Jeanette (Mrs. Maltbie), all of Farmington; J. O., of the clothing firm of Hart Brothers, Warren; A. L., insurance agent, Warren; C. O., of the firm of Hart Brothers, and now county treasurer; V. M., now engaged in stock raising in the Indian Territory; Adelbert M., who was in the army during the Rebellion, taken prisoner, and confined in a rebel prison for sixteen months, died on his way home Dec. 11, 1864, and was buried at sea; M. C, an attorney, of Cleveland; and Arlington M. (deceased). J. C. Hart, Sr., died in Farmington Mar. 19, 1867, aged sixty-three years. Mrs. Rosannah Hart died at West Farmington Jan. 4, 1880, in her seventy-third year. Mrs. Hart, or "Aunt Rosa," as she was familiarly called by her acquaintances, was a woman of more than ordinary endowments, both of mind and heart, the religious element being predominant in her nature. She was energetic and persevering and being blessed with a good physical organization she was well equipped for life's duties. The poor and needy were often made the recipients of her benefactions, and when she died her loss came as a personal bereavement to every one within the circle of her acquaintance. ico. While in the latter place he enlisted in the First New Mexico cavalry, Colonel Kit Carson's regiment, and served three years, being surgeon of the regiment. He was mustered out in the fall of 1864, on account of physical disability. Oct. 19, 1865, he married Miss Cordie A., daughter of Ephraim and Mary Fuller, who was born in Farmington, Feb. 6, 1845. Her father was a native of Massachusetts, born in 1798, and removed to Ohio in 1825, settling in Farmington. He was a major in the militia, and postmaster at Taftsburg, Farmington. He died in 1874. Dr. Peck continued to reside in Farmington after his marriage, engaged in the practice of his profession until the spring of 1871, when he removed to Cleveland, where he resided four years. In 1875 he went to Akron, but returned again to Cleveland in 1877. He died Feb. 21, 1878. Mrs. Peck now resides in Warren with her family, which consists of two children: Frank J., born September 7, 1866, and Cora M., born Apr. 25, 1871. Her second child, Flora L., died in infancy. The arrests of death you cannot shun."